David Metto and Beatrice Cherop were the winners of 2018 Warsaw marathon held in Sunday in men and women titles respectively. 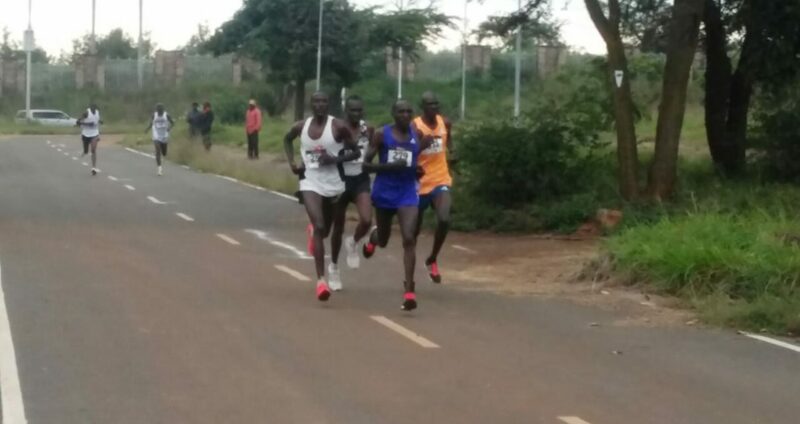 Metto in 2:12:44 and Cherop’s 2:35:22 respectively in an IAAF Bronze Label road race to achieve just the second Kenyan double in the 39-year history of the race. Metto battled Ethiopia’s Ayele Woldesemayat and 2012 European 1500m silver medallist Florian Carvalho, making his marathon debut. The 35 year old Metto secure his second marathon victory on Polish soil this year, following his triumph in Debno back in April. Carvalho held on to second place in 2:15:14 with Poland’s Adam Nowicki coming through for third place in 2:17:43, one second ahead of Tsige. Cherop’s win was even more decisive, but during the closing stages she paid for her ambitious early pace. Running alongside Ethiopia’s Aynalem Woldewariya Woldemichael, Cherop passed through 10 kilometres in 34:45. The 32-year-old, who finished second in Warsaw last year, dropped Woldemichael a few kilometres later and reached the half-way point in 1:14:31, suggesting an improvement on the 2:29:32 course record was possible. By 30 kilometres, reached in 1:46:58, Cherop’s pace had dropped, but her lead had grown to almost four minutes. Moldova’s Olesea Smovjenco, meanwhile, was closing in on Woldemichael and trailed the Ethiopian by just 15 seconds. Cherop’s pace continued to suffer but her lead was unaffected and she went on to win in 2:35:22.